Jo Ann Allen was one of just 12 black students who, in August 1956, walked into Clinton High School for the first time and ended segregation in this small Tennessee town. Two years after Brown v. The Board of Education, the town of Clinton, Tennessee decided to finally follow the Supreme Court’s ruling and end segregation. While they may not have liked it, it was the law, and the people of Clinton were “good, law abiding citizens.” Jo Ann Allen and 11 other black students became some of the first students to integrate into a Southern high school. And as expected, it wasn’t always easy. Protests, verbal and physical assaults, cross burnings, and other forms of racism followed. But through it all, Jo Ann held her head high and continued to attend school as it was her moral right to do. 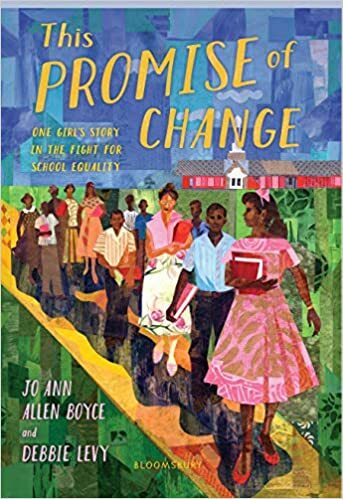 This Promise of Change is a beautiful novel told in verse by Jo Ann Allen herself, along with award winning children’s author Debbie Levy. It is a story that needed to be told and will give readers insight in to a part of history that is often overlooked when talking about the fight to end segregation. Jo Ann’s story is not only told in beautiful lyrical verse, but also through the newspaper headlines, articles, interviews, and speeches of those who were directly involved in the fight in this small Tennessee town. In This Promise of Change, Allen and Levy give voice to the Clinton 12 and the fight for equal education in the United States. This meticulously researched work of historical fiction is quite a journey. Bolden’s inspiration for her latest release arose from her curiosity about the characters from a previous novel, Crossing Ebenezer Creek (2017), specifically the character of Praline, who has escaped slavery. 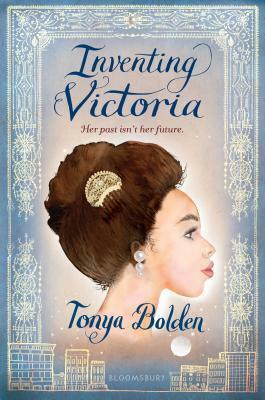 Inventing Victoria is the story of Praline’s biracial daughter, fourteen-year-old Essie, who grows up in Post-Reconstruction Savannah in the home of her prostitute mother. Eventually, Essie branches out on her own, determined to make a better life for herself. She finds a job at Miss Abby Bowfield’s boarding house and it is there that she meets the wealthy black socialite, Dorcas Vashon, who mentors Essie and gives her the opportunity to reinvent herself as “Victoria” in Baltimore and then in Washington D.C.
One of the novel’s many strengths is that it examines a time, place, and subject about which little is written, particularly for teen readers – post-Reconstruction America, and the black middle and elite classes of Washington D.C. during this period. Bolden recreates the era with beautiful, poetic language detailing the people, fashion, home decor, food, activities, and issues of the time. She weaves important black historical figures and events seamlessly into the fast-moving narrative. Through Essie’s/Victoria’s transformation, readers will consider important and timely thematic ideas such as the fine line between moving forward and looking back, the need to see and appreciate the challenges that others have endured before judging them, the importance of being seen and cared for, the value of persistence and resilience, the significance of the opportunity for education and life-long learning, and the obligation to be thankful and pay it forward. Recommended for teen collections where historical fiction and Bolden’s many previous works are popular. For those interested in the Reconstruction era, Bolden has partnered with Henry Louis Gates Jr. to create a work of non-fiction, Dark Sky Rising: Reconstruction and the Dawn of Jim Crow, which will be published February, 2019. 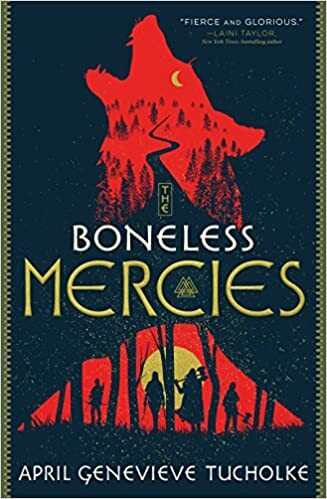 The Boneless Mercies is a story about having the courage to fearlessly follow a goal, despite probable defeat. It’s about risking everything for a chance at both greatness and bettering the lives of others. Set in a Vorse (Viking + Norse) fantasy world, protagonist Frey and her band of Mercies, Runa, Ovie, and Juniper, work in the death trade, performing merciful executions- sad, dark work that men will not do. When this group of Mercies gets word that a Beast is killing people in the North and there will be fame and fortune for the ones who slay the Giant, they decide to leave their profession and set out on a quest to kill Logafell, the Blue Vee Beast. Action-packed and suspenseful with nods to ballads like Beowulf, this stand-alone novel shares a fantasy world of beasts, queens, sea witches, wolves, monsters, and fierce warrior women that will keep readers turning the pages. Sisters Lu and Min are princesses of the Empire of the First Flame. With their father the emperor’s health quickly declining, Lu is ready to assume the throne. In fact, Lu’s reputation as an assertive person has the entire empire calling her “The Girl King.” Min, on the other hand, is meek and needy for approval from their mother, the Empress. Nokhai is an orphan of the wolf shape-shifting Ashina. Nokhai’s people were betrayed by the empire; those who were not hunted and killed end up dying slowly in gruesome work camps. Unable to transform from human to wolf, he assumes his magic is gone. Nokhai spends his days learning the ways of the kind, elderly healer who rescued and raised him while wallowing in his isolation and loneliness. When the Emperor chooses his nephew to be heir, Lu challenges him for the throne. What follows is a classic tale of political intrigue and betrayal, pitting two sisters against each other and creating an unlikely alliance between Lu and Nokhai. 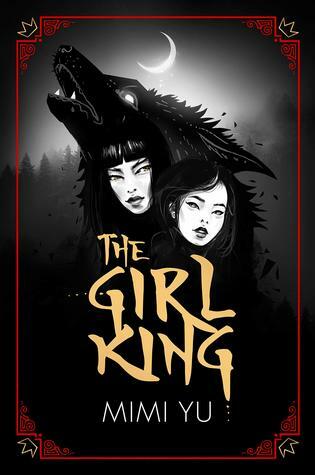 Set in a fantasy world full of forbidden magic, worlds in between, and mystical and ancient Gods, The Girl King is a thoroughly entertaining read. In her debut novel, author Mimi Yu creates a vivid world, effectively using color to immerse the reader and pull them into her world. Readers will sympathize with the characters’ pull between independence and the desire to please family, as well as their uncertainty in their place in the world. Readers will also be thrilled to learn that a sequel is expected. This book takes place in the small Scottish town of Little Haven. Anna, like many teens finishing up school and deciding what to do with their lives, wants to take a gap year, but her father wants her to go to college. 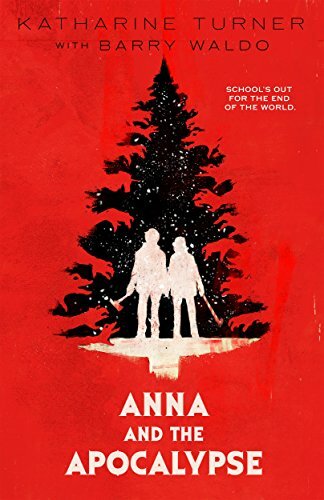 The first day of the holiday break begins with them fighting over her future and ends with them in a zombie apocalypse. In order to survive, Anna and her classmates must come together, even her classmates whom she wouldn’t consider friends. Inevitably, her father realizes that Anna is stronger, smarter, and braver than he had ever thought, and she realizes that her father only wants the best for her. This book is an adaptation of a cult film which is a musical horror comedy. The book does not have any musical interludes but does manage keep it campy and fun. 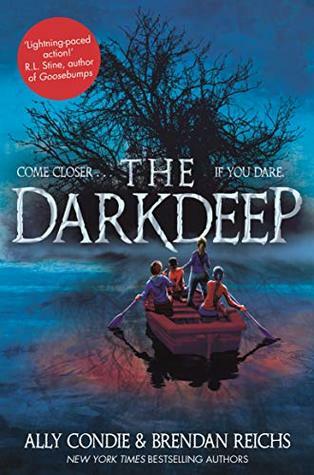 The Dark Deep, the first installment of Condie’s and Reichs’s new series, is Goonies meets Night at the Museum meets Stranger Things. The text begins in familiar enough territory. Twelve-year-old Nico Holland and his two best friends, Tyler and Emma, gleefully test out Nico’s prize quadcopter in their small town of Timbers when Logan Nantes, Nico’s sworn enemy, approaches with his friends. Logan forcefully commandeers the copter and flies it into the “eddying mists” of the “nightmare factory” that is Still Cove, a part of town which is equally famous and feared because of The Beast that prowls its climes, or so legends say. Undaunted, and thinking about how much money he spent to craft the drone, Nico ventures into the fog and promptly falls into the cove, out of sight. So begins the kids’ adventure. Emma and Tyler, accompanied by Nico’s friend Opal, who has been hanging out with Logan but comes back to help the trio, climb down into the Cove after their friend. They find Nico and much more: an island in the center of the cove, a canyon with a houseboat moored in the pool at its center, and a vortex spinning with oil slick black water in the hull of the boat. Emma, the bravest, is drawn to and eventually into the pool, sucked down and spit out at the water’s edge. But she is not alone; her childhood imaginary friend is with her- a purple bear who shimmers then disappears. The kids refer to what they think into existence “figments.” And, when the figments evolve from whimsical to mercurial to outright treacherous, lasting longer and becoming solid, the threat to Timbers grows. The kids, including Logan who spied on the group and joined in, must find a way to stop the creatures born of their own minds from escaping the Cove. To do so, they meticulously catalog the strange artifacts on the houseboat and pour over the books there looking for answers. The subconscious mind is made manifest in The Dark Deep. The action draws readers into the multileveled setting. We climb down into Still Cove with Nico, look down into the canyon on the island with the quartet of characters, and walk down the spiraled staircase into the houseboat’s hull before slipping down into the whirlpool’s embrace, first with Emma and then with all the tweens. The novel clearly gestures towards the psychological journey each character faces. The figments are born of their memories and dreams and each adolescent works to take responsibility for them by attempting to repress the creatures to protect their beloved town. Packed with rich detail and action of interest to young readers, this novel also encourages them to inquire about the nature of the figments, the origins of fear, and the mind’s ability to control it. 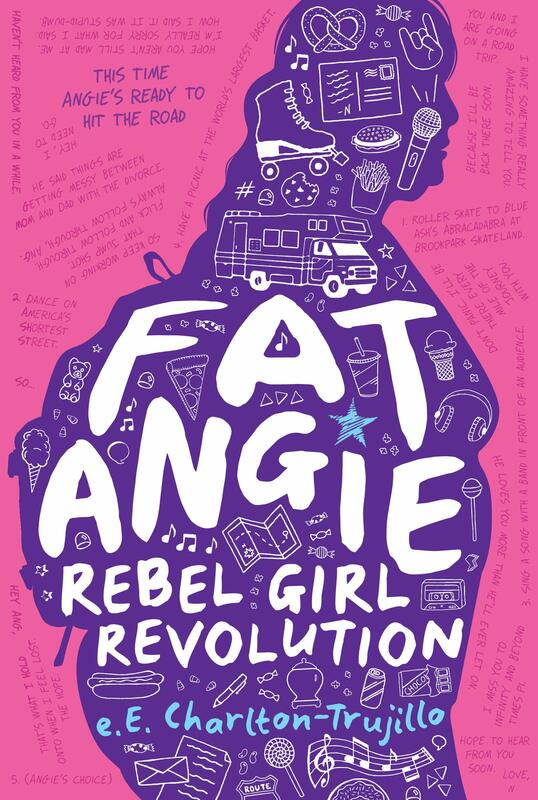 Fat Angie: Rebel Girl Revolution, E. E. Charlton-Trujillo’s follow-up to Fat Angie, begins with our titular protagonist drowning in isolation and grief. Angie feels that she is never heard, and that she is seen for all the wrong reasons, namely her weight and mental health struggles. She endures loneliness and abuse at home where she struggles to survive in the shadow of her soldier sister, the town’s hero. Angie finds herself constantly bombarded by reminders of her sister’s ultimate sacrifice- statues, ceremonies, interviews, and urns. These constant reminders leave her struggling to reconcile her grief and anger. Her home life is further complicated by a mother who views Angie as all wrong and an adoptive brother who loses himself in delinquency. School offers little respite from her troubled home life. At school, she does what she can to hide herself from the bullying and cruelty of classmates, but she remains a target. In order to escape life, Angie turns to hidden stashes of candy and the nostalgia she assigns to objects left behind by her absentee father. When Angie finds herself suspended from school after a brutal attack and false allegations, her detached and hostile mother threatens to send her to a conversion therapy treatment facility. It’s at this point that Angie, bolstered by words from beyond the grave, defies her mother and decides to live out loud by embarking on a road trip. What begins as a story about a girl being literally and physically beaten down by the world becomes an adventure with new and rediscovered friends. Ultimately, Angie’s impromptu act of rebellion turns into the first steps toward loving herself. Although the story is peppered with a few brutally realistic episodes of violence, it offers readers an empathetic view of a girl in crisis and an uplifting portrait of a girl in progress. For Ishmeal, every day is the same: farm chores, caring for siblings, and sadness over his brother Luc’s disappearance and his father’s death while digging a well. Every day is also colorless–completely gray–until Ishmeal discovers a spectrum of color in the barn. His eyes opened, Ishmeal leaves home, looks for Luc, and finds him in an unlikely place, The Hall of Hue at The Commons, which is where all worlds are created. As a Color Keeper, Luc is responsible for coloring all new worlds. When Luc discovers that Ishmeal also has the gift of color, he tells Ishmeal to forget about their family and join him. Ishmael begins to find a home at The Commons, but when a sudden catastrophe damages the color supply, the brothers begin to fight. Ishmeal must decide whether to return home or start his future at The Commons, all while learning to believe in himself. 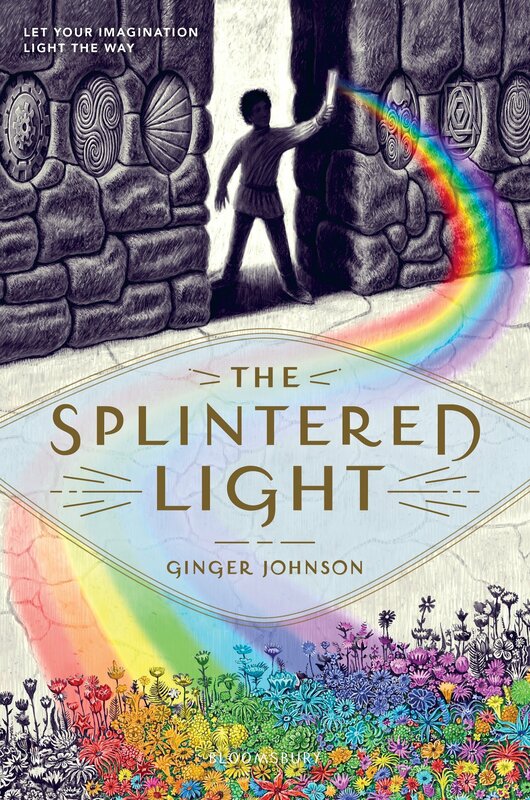 In this fantasy novel, Johnson’s ability to describe common adolescent struggles such as the drudgery of chores, the obligation to one’s family, the need to make friends, and the desire to be special will relate to readers in middle grades and junior high. Her protagonist, Ishmael, is curious, sensitive, and likeable, helping readers to learn from his experiences, however magical they are. Johnson’s exploration of the realistic aspects of all humanity, such as grief, pairs with the concept of creation, and its accompanying elements, from taste to color to structure to temperature, to build an engagingly complex plot. Jason Wilder is in the Rubber Room, his school’s isolated detention room. He’s a known arsonist, tends toward violence, and cannot stand the people around him in Unionville, Alabama. Until Meili joins him, that is. Meilli, whose teachers all call her Melissa, becomes an instant mystery. A Chinese girl with a British accent, she has joined the Rubber Room for breaking a girl’s finger in school. She and Jason then begin a relationship with quick witted jibes, disaster, intrigue, romance, and violence that lasts for the rest of the novel, culminating in a fight scene that will leave readers breathless. 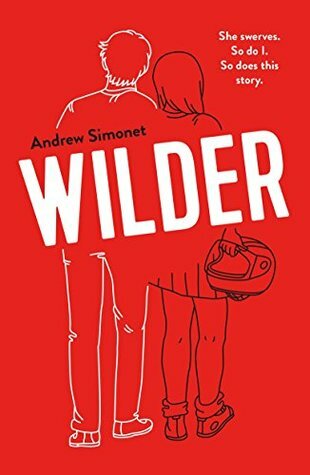 Wilder is an intense look at the problems caused by toxic masculinity and mental illness. Jason is constantly ruled by the idea of a fight, the adrenaline rush of punching and being punched, and this only shifts as he and Meili grow closer. The story is as intense and supercharged as Jason and Meili race toward whatever future awaits them. While readers might empathize with Jason, who has an admittedly terrible background, the confusion and the lack of clear motives of Meili, Manny, and all of those around him make it hard to follow his own thought process. In a story that swerves between gritty romance and graphic violence, it can be hard as a reader to feel as if there is any solid footing with the narrator. However, the suspense-fueled push to the end of the novel is breath-taking and real, leaving the audience with one question: What just happened?